This is the Monte Blanc Mozart 75th Anniversary Black 117 .5mm pencil engraved around cap and top with mounted Diamond. As pictured in original box with paperwork and CD of Placido Domingo's Operalia '98. This pencil is unused and priced to sell. at $500.00 plus $25.00 shpg. A must-have for your Monte Blanc Collection. One of the most successful models of the 1990s was the Waterman LeMan line of writing instruments. Bold, elegant and authoritative, these items are still in demand. This Waterman LeMan is the first pencil of the line that we've seen in real life. Sporting only light wear, it writes with .5mm leads that you advance with a twist-click of the back cap. It comes preloaded with spare leads and a hardening, partially used erase. 14.4cm. Pelikan Souveran writing instruments are some of the best in the world. This larger luxury pencil (600 size) is no exception. It works perfectly and has only light traces of wear. The tail cap twists to click-advance a .5mm lead. Under the tail cap is a used but still fresh eraser. The pencil is loaded with spare leads. We like the fact this pen is old enough to list its country of origin as "W. Germany." On the topper is a golden logo of a mother pelican with two babies. Its only real "flaw" seems to be that the cap feels as if it jiggles a little, even though it is on very securely. 14.1cm. Make math, crosswords and sudoku stylish with the Aurora Talentum pencil. It appears to be a .7mm pencil that has barely been used. The eraser is still pretty fresh. Just twist the back cap to advance the lead. Extra refills are under the eraser. Great Italian design in periwinkle. 13.8cm. 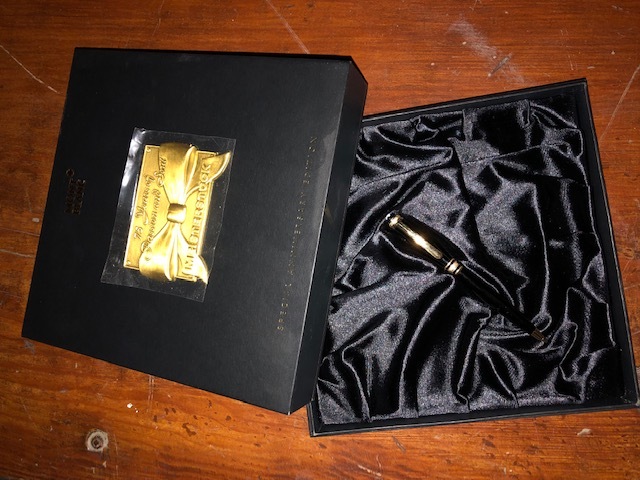 This pen is used and therefore will have the typical surface scratches and swirls but NO major dings or blemishes, It has pen price accordingly (A new pencil like this one would be approximately 10K USD at a Montblanc Boutique). Serviced recently by Montblanc North America and is in perfect working order. Unfortunately i no longer have the original Box, or Original Paper etc. It will include a modern Montblanc Box. For those wondering, i am selling to fund another Purchase. Make an offer and help me get that Rolex Milgauss i feel in love with. *This pen is Located in the United States. *Shipping is at the cost of the Buyer. *Payment by United States Postal Money Order. *International shipping will be considered on a Case by Case Method. *Pen is as stated but is being sold AS Is, No Returns or Refunds. 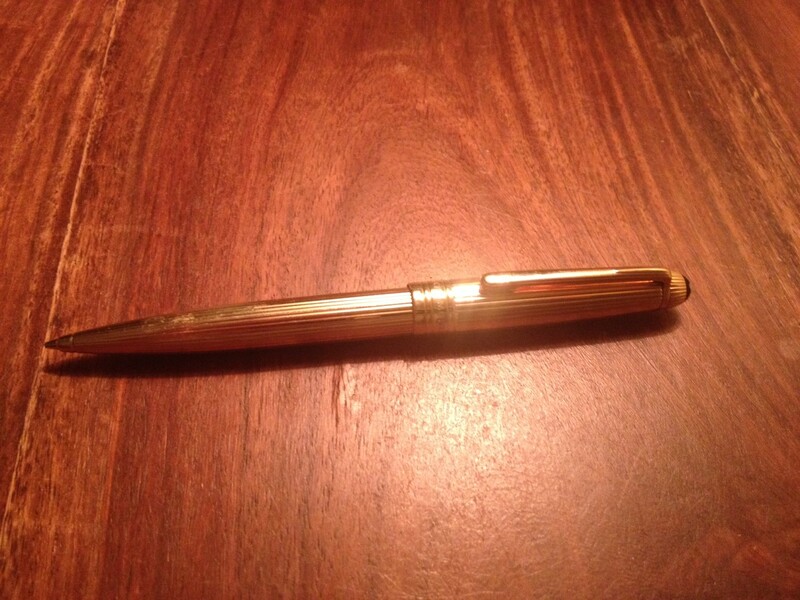 *This is an Authentic Montblac Pen, any authentication will be at buyer expense. This is a used Graf von Faber-Castell propelling pencil from the Classic family in a nice ebony wood. 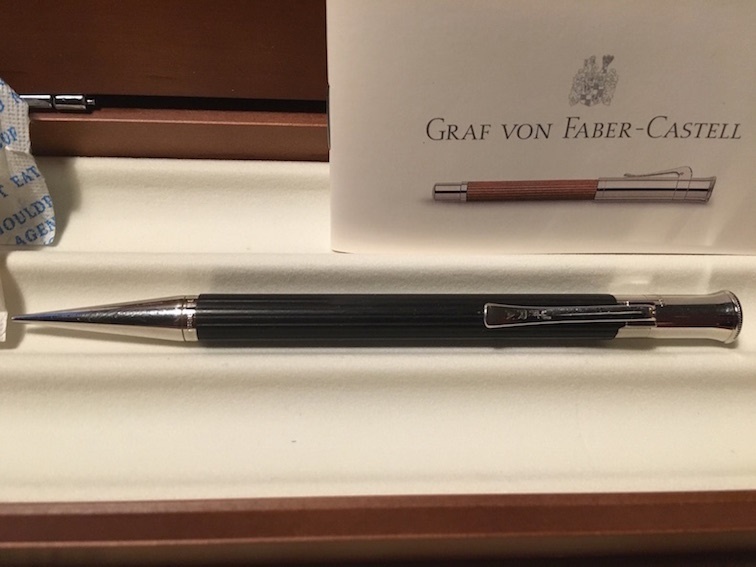 This pencil retails at $350 new, comes in a nice wooden Graf von Faber-Castell gift box. The pencil has a small engraving in the clasp with the initials JFRA. ALL SALES ARE FINAL - NO RETURNS. 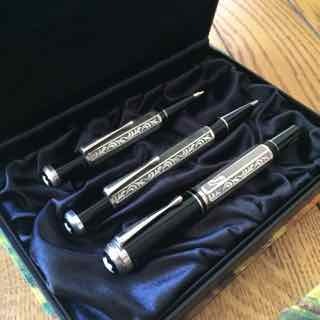 This is a unused set on Mont Blanc Marcel Proust Writers Edition Set...Priced well off retail. Got as a gift, new baby more important :-) Thanks so much!